Home window glass repair can be tricky, depending on the type of window involved. Learn what's involved, and then decide if this is a job you want to tackle for yourself. There are usually two basic types of windows in residential homes: single pane and double pane varieties. The term double-pane doesn't refer to a window set with multiple decorative glass inserts. It means a window configuration that uses two or more panes in series, separated by a dead space that's sometimes filled with a gas, like argon, and offers superior insulating ability. The first step in repairing window glass is to determine which style of window you have. It's very difficult, if not impossible, to repair a double pane window yourself. Sometimes a double-pane window will have a seal-breach and vent gas, resulting in a window that's always cloudy. If this happens, you really have only two choices: consult a professional to see if the window assembly can be repaired, or have a new window installed. This may not be as dire as it sounds. Most double-pane windows have long warranties, and you may be able to get a free or low cost replacement. Check with the window manufacturer for more instructions. You will find a manufacturer's name somewhere along the window frame. Although you may be able to install a new double-pane window assembly yourself, it's usually not worth the time and effort. These are precision installations, and if you install a new window as a DIY project, you'll probably be voiding the warranty anyway, which would be a real shame. Glass is dangerous to work with, especially when it's in shards. To complete a safe installation, always wear safety goggles and gloves, and dispose of broken glass responsibly. Remove all of the broken glass. To help, run tape in both directions across the window and then tap it with a hammer. The broken pieces should stay affixed to the tape, which will help with speedy removal. For the shards around the frame, work them loose with your gloved fingers. Once the glass is gone, remove the remaining putty residue from the frame. This will take some elbow grease and a scraper. If you hit a particularly stubborn patch, saturate it with linseed oil and let it sit for a while. As you work around the frame removing glass and putty, you'll probably see small metal brads called glaziers' points. They help hold the glass in place and will come in handy later, so don't toss them. When the putty has been removed, hydrate the area around the pane with linseed oil. This helps to treat the wood and make the new putty stay malleable longer (we'll get to that step in a second). Measure the window at the inside edge in both directions and subtract an eighth of an inch. You need the extra gap to let the wood expand and contract as the weather changes. Count how many glaziers' points you managed to salvage. You'll need to reinstall one every six inches or so. If you don't have enough, buy more when you purchase the replacement glass. You will also need to buy a container of glaziers' compound or putty. Now that you have your supplies, work the glaziers' compound into a long rope by rolling it on a hard surface or between your palms. The idea is to run a bead or rope of compound all around the frame of the window. Once the compound is in place, press the window carefully into the opening until the compound flattens out. 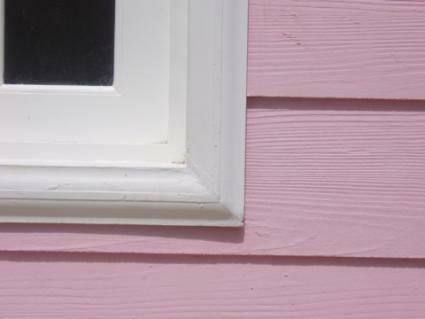 Install glazier's points every six or seven inches around the frame. Run a second rope of compound along the frame, and smooth in place. There's some technique to this, but keep working it with a putty knife until you get a uniform finish. Use a scraper to clean excess compound off the glass, and paint the window to finish the repair. Although it's possible to do your own home window glass repairs, it's not a job for everyone. If you don't feel confident doing the job yourself, have a professional take a look at your broken glass and give you an estimate. You may find the price of the repair is worth not struggling with the repair yourself.